Professional solutions for producers of sanitary containers. We recommend our cabins with big variability. Standard cabins, basins and sanitary solutions always from stock. Our products are produced in vandal-proof version from sanitary quality materials. At packaging we strive the smallest packaging and delivery dimensions. Check out the details of our winning competition. Innovative solutions for producers of sanitary containers. Our company is an enterprise directly controlled by owners that has more than 20 years of experience in the manufacturing of private development of acrylic sanitary products. 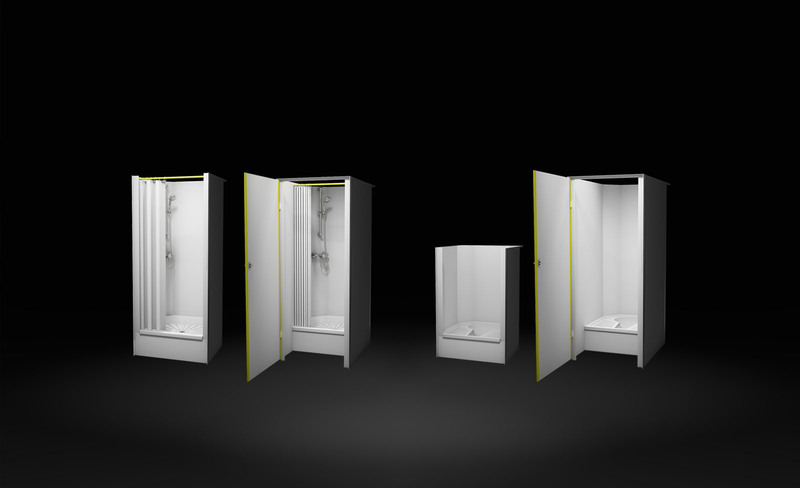 Our company philosophy: inspiration and innovation in the name of function and hygiene. We believe that we offer much more than a price list – supported with professional marketing messages: unparalleled comprehensive sanitary solutions for the sanitary container manufacturers and comfort modules for those, who would like to increase the comfort of living-rooms, commercial quarters, military decks, schools, colleges, hospital sick-wards, weekend houses, sport- and workplaces dressing rooms. We feel that it is our target and task to serve Your and your companies needs by the standard known so far and on a level that is higher than the available sanitary supply. 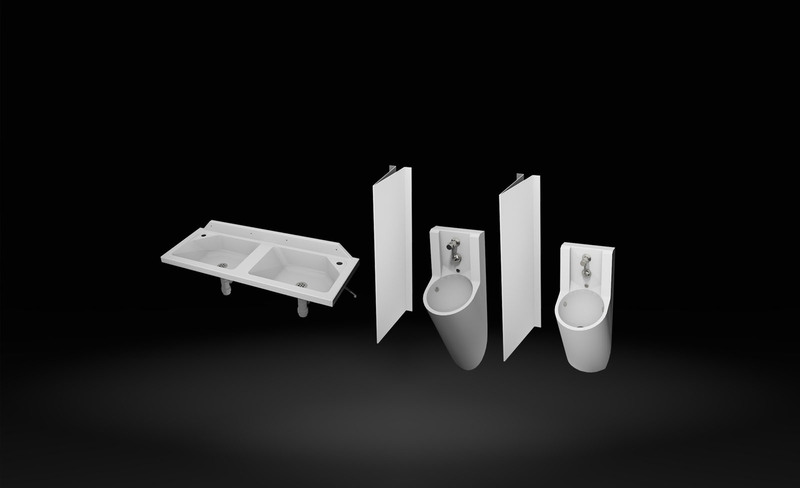 We offer solutions to our partners with our modular sanitary system: an alternative to the traditional ceramics - an outstanding, yet heavy and fragile, to the out of date – an environmentally contaminating – fibreglass reinforcing composite products, to the durable- but expensive and rigid – sanitary products made of stainless steel. Sign up to our newsletter in order to receive news and special offers. Hungary – 2051 Biatorbágy, Bethlen Gábor u. 44/a. Hungary – 2040 Budaörs, Iparos utca 3-5.